They say that ignorance is bliss. 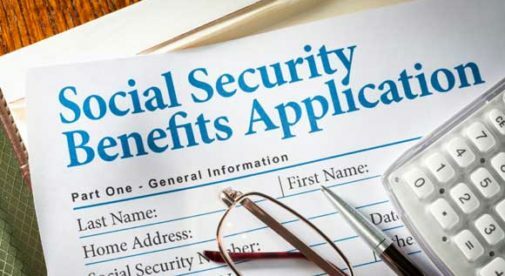 When it comes to getting the most out of our Social Security benefits, such bliss will quickly turn to misery if we learn too late to fix a bad claiming strategy that can easily cost us $100,000 or more, especially for married couples and many formerly married singles. Few baby boomers understand how Social Security works. I have worked with so many who tripped over the rules because they were simply unaware or uninformed. As a result, they fell into traps and discovered too late that they could not get out. During the course of my research into the ways to make the most of your Social Security, I’ve found there are three traps that can keep us from collecting all the benefits we might be eligible for. Today, I’m going to tell you about trap number one: Getting divorced too soon. “Wait!” I hear your cry. “How could that make any difference in our benefits?” Glad you asked, because the difference can be shockingly high. If a marriage ends too soon, you lose your rights to any potential spouse benefit or survivor benefit. What’s at stake? While the answer depends on many factors, let’s look at just a couple of possibilities. Consider, for instance, Rebecca who divorced Brian some years ago. If she has little work history of her own, a potential spousal and/or survivor claim on Brian may be her only claim for Social Security benefits. If Rebecca lives to her average life expectancy of 86, that might be as much as $316,680. If Rebecca stays married to Brian at least 10 years until the divorce is finalized—separation is fine—then she locks in her right to a spousal benefit based on Brian’s work record when she’s older. In another twist, suppose Rebecca has a substantial work record of her own, that makes her eligible for Social Security. If she turned 62 before January 2, 2016, she might be eligible for up to $63,336 in extra benefits, which she can collect while waiting to start her work-based claim later. Yet even more money could be at stake if her ex-spouse Brian passes away while Rebecca is still alive. Suppose he is three years older than she is (around average for a married couple) and waited to age 70 to start his benefit. Brian is 82 when he dies (about the average life expectancy for a male at age 62). Therefore, Rebecca is 79 and now qualifies for a survivor benefit on his record…but only if she didn’t divorce him before reaching their 10-year anniversary. How much would Rebecca collect in cumulative benefits if she lives to age 86? A total of just over $498,000. Those are benefits solely based on Brian’s work record; she would be eligible for these even if she never paid a penny into Social Security based on her own work. If Rebecca doesn’t have other substantial assets, access to these benefits could be the difference between getting by in old age and severe poverty. Yet these options were locked in—or lost—way back when the divorce took place and cannot be corrected after the fact. No one wants to stay in a bad marriage one minute longer than necessary. However, we can usually remain separated as long as necessary to lock in our full spouse and survivor benefits…or negotiate any potential lost benefits as part of the divorce settlement.